Shifting from joy to heartache and back again Wide Awake, offers everything from the stomping, fired-up swagger of “Crave” to the sorrowful piano ballad “What Breaks My Heart” to the hushed acoustic reverie of “When You Move.” And in certain moments Parachute brilliantly embodies both bright and dark, such as on the swinging and summery anthem “Lonely with Me” (as in: “Baby if you’re gonna be lonely/Be lonely with me”) and on the moody but pop-infused “Love Me Anyway,” an ode to “knowing you’re inevitably going to mess up, but having somebody who’s willing to forgive you and move on,” according to Anderson. 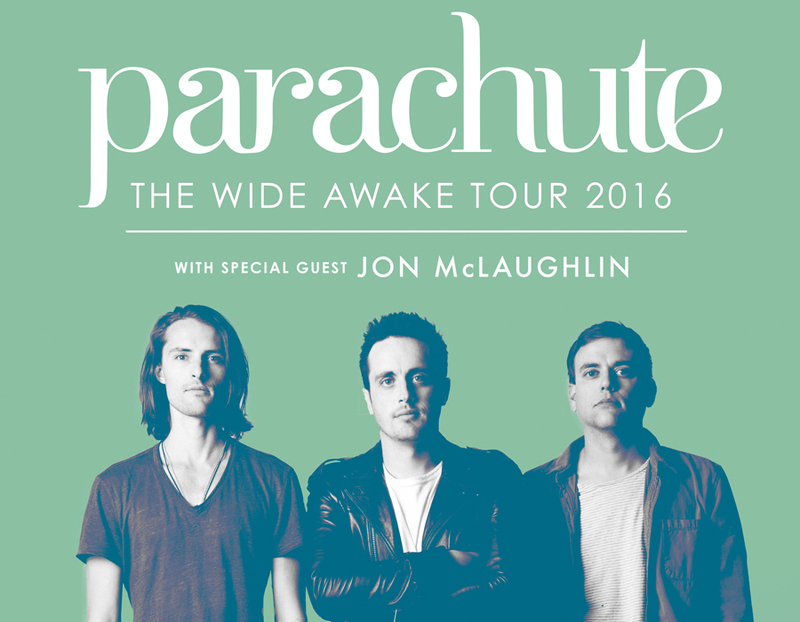 While Parachute’s indelibly melodic sound packs more than enough power to electrify an arenafilled crowd, each song on Wide Awake comes from much more intimate origins. “Most of my writing process for this album was very solitary.” says Anderson. “I’ve written with other people in the past, but it was fun to go back to the way I used to write when I was a teenager.” And when combined with Parachute’s renewed passion as a band, that approach ultimately allowed for an honesty and heartfeltness that makes Wide Awake their most thrilling authentic album yet.